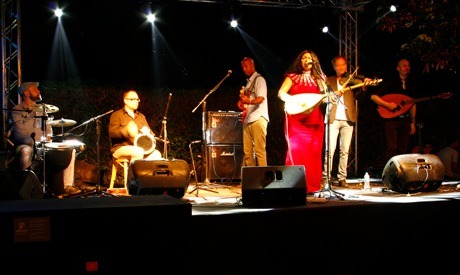 Tarabband will be performing a blend of music genres at El-Geneina Theatre starting from 27 April and 29 April. The two-day performance is expected to feature a fusion of Middle Eastern, traditional, jazz, Persian, folk, and Latin music all together. The ensemble consists of Nadin Al Khalidi as lead singer, Valter Kinbom, Fredrik Gille, Ferhat Deniz Fors, and Amar Chauoi as percussionists, and Swedish musician Gabriel Hermansson. Established in 2008, the band was formed in Malmö in Sweden and focused on producing Arabic music heritage inspired by cultures in Scandinavia, Europe, and North Africa according to the band’s official page. The band has won Tradition Bearer prize and Best Crossover prize at the Swedish World Music Awards in 2014, Group of the year prize in 2013, and Rhythm of the Year in 2013.